Only five months after launching its B2B marketplace for seafood, ProcSea has just completed a first round of financing of 800,000 francs. In the ProcSea marketplace restaurants and retailers can order directly from a multitude of fishmongers and producers. The delivery takes place in less than 24 hours, thus guaranteeing an optimal freshness of wild and farm products. Polytech Ecosystem Ventures and eight business angels of the Swiss ICT Investor Club (SICTIC) and of Business Angels Switzerland (BAS) are backing the company. Investors were convinced by the strategy of the Vaud start-up to digitize and disrupt the complex and traditional seafood industry. ProcSea CEO Renaud Enjalbert quotes: "ProcSea connects fishmongers with over 150 gourmet restaurants and 5* hotels, bringing them more choice, more freshness, and significant savings. The idea was born from my various experiences in seafood import-export between Scotland and France. Our growth potential is important because this sector is worth 55 billion francs annually in Europe. " In addition to this fast and important financial support, ProcSea is also the winner of the Réseau Entreprendre Suisse Romande. 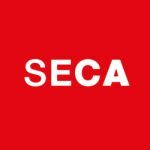 Recognition is set to grow in the coming months as Renaud Enjalbert confirms: "Other financing rounds are planned to allow ProcSea to grow and recruit to revolutionize this huge market."